A popular choice in North American colonies, wood Shake and Shingle Siding’s history traces back hundreds of years. It’s often reserved for smaller homes or as accents on larger ones. 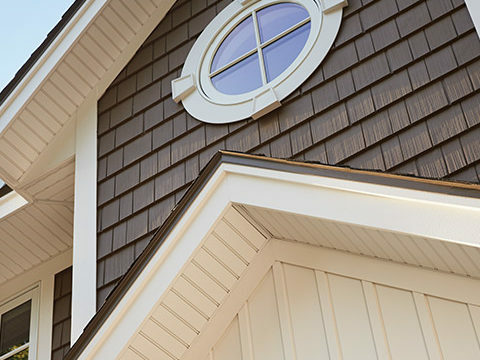 Ply Gem offers beautifully textured Shake and Shingle vinyl siding that resembles natural wood without all of the maintenance and upkeep. Cedar Discovery® features the rugged good looks of real cedar shake and shingle siding without the hassle of regular staining, painting and replacing.